Looking at getting a dog and wondering; will you new dog be good to your kids? I ask you to reconsider your question .... will your kids be good to your new dog? I think primarily you need to always keep in mind that a dog is an animal. The bigger the dog the easier it can knock over your child by accident in a single moment it gets excited. I would never recommand a dog be left alone with young child. What came first the dog or the kid? If you have a dog and you are looking for to having children i think you need to get your dog prepared to the new rules of the house before the child is born. Start restricting certain rooms and incorporating the new rules so the dog is settled before a child comes home. If not, when the child comes home and all of a sudden the dog isn't allowed in the bedroom - the dog can act jealous of the child. If you have children and are looking for a dog for the family, make sure your children are aware of the proper behavior that is expected around a dog, make sure you speak to the breeder of your choice and let them know that your after a family dog ether with a low energy level or a high one - which ever your family is best suited for. 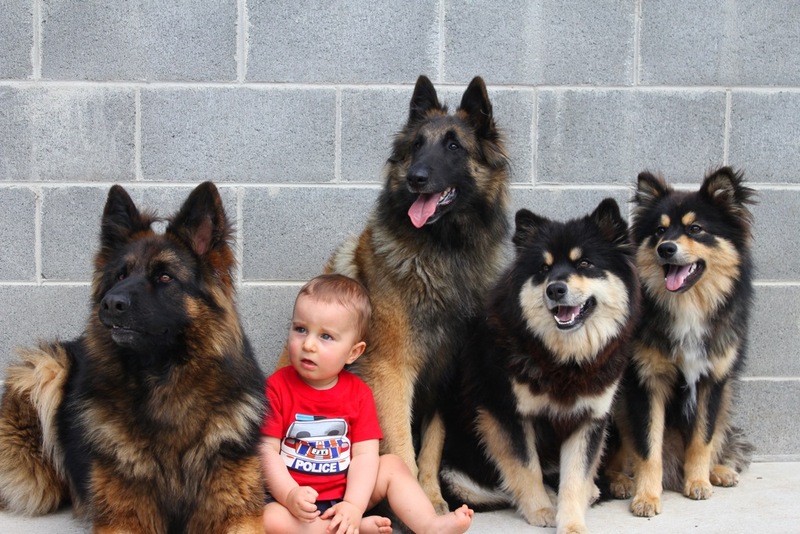 To a dog they see children differently then an adult. Children are smaller, louder, move faster and smell differently to them. Children are at eye level to most dogs and always go to a dog to pat their heads before a dog has gotten to know the child - this is a big no, no. There are many ways to teach dogs and children how to respect each other - and i can a shore you that once this is achieved that there will be a very strong bond between a dog and its family. If you would like some articles i am happy to recommand some to you.